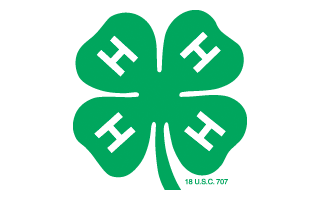 4-H Clubs often take field trips to help youth learn new things and explore the world around them. Field trips give kids an opportunity to see the real world in a way they can’t from a classroom and may not otherwise experience. These trips can also enhance and enrich experiences begun elsewhere. With so much time spent learning through virtual/screen experiences, a live trip to a real location has much to offer. As visual learners, field trips offer the chance to learn through touch and feel as kids listen to what they’re learning. Field trips can provide opportunities for youth to learn things first-hand from experts. Learning this way helps youth build confidence and develop skills that will take them to the next level. Studies have shown that students retain more knowledge through this experience-based learning than through traditional classrooms. Field trips don’t have to be confined to schools and 4-H, families can make them too. Family field trips offer a chance for parents to engage with their children by helping them explore their questions and interests. Of course, these trips needn’t be linked to a curriculum, they can be just for fun and/or to become exposed to new things. To get the most from a field trip, it’s best to plan ahead. There are many resources (such as this one) to help you figure out where to go or what to see. Internet searches can identify places close to home or further away—not to mention the logistics of getting there. The best trips often come from exploring kid’s idea and questions. Many field trip destinations have Facebook or Twitter accounts that can be used to question and learn from staff before your visit. Asking questions in advance can help build larger questions—and interest—for the trip. Approaching a field trip with a question provides a focus. During the trip, youth can collect information or evidence to help them answer their question. After the trip, have them explain if their question was answered. Have them explain their thinking. You’ll learn about how they think and they’ll remember their experience better. 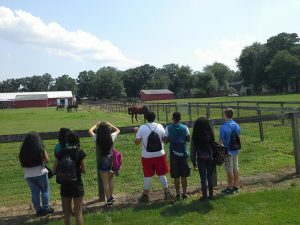 The sites listed on this blog have been selected based on programming that will assist youth’s learning about animal science.